A decent Birthday Team today, but the pitching staff is a bit thin. Just be careful - the owner might be trying to move September 6 to Worcester. Why do you know Bill Plaschke's birthday? If you don't put some teahen and a jeffcoat on your oyster burns, you end up with a red faber. 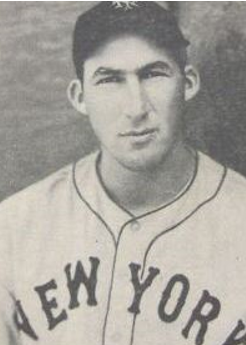 Burns, nicknamed "Oyster" because he sold shellfish in the off-season, was described as a "loudmouth" and having "an irritating voice and personality." In 1893, between games of a doubleheader, a teammate of Burns, Tom Daly, was sleeping in center field when Burns stabbed Daly with a penknife. I'm so tired of players like Oyster Burns and Albert Belle stabbing their teammates during doubleheaders. I hold an annual Plaschke Party. Also, it's on the BBRef wiki. And if you don't treat that quickly, with antibiotics, you wind up with an extremely painful jumbo latham. Did it occur before or after he was stabbed with a penknife? Vlad is correct! The game was on 2 June 2004, the pitcher was not Johnson. Pedro Martinez for the SP? A few weeks back, Dag ran a quiz on homer leaders for players who spent their entire career with a single franchise. So I decided to look to see which pitchers owned a similar distinction for each franchise. Here are their victory totals. * There's a chance he's not the franchise record holder, as no one in the club's Top 50 spent his entire career there. And Pedro Martinez was the pitcher. The Angels beat the Red Sox 10-7. Mike Timlin relieved Martinez with two on base, and Guerrero greeted him with the 3-run homer. I'll start with the easy one. Walter Johnson 417. So I decided to look to see which pitchers owned a similar distinction for each franchise. Walter Johnson and Jim Palmer are probably the top two or maybe 1 and 3. Is birthday boy Red Faber on the list? Also JR Richard had 107 wins for the Astros. Whitey Ford has got to be on there. Not sure his exact win total. Maybe Ted Lyons beat out Faber. The White Sox have a lot more depth at this than in HRs. Johnson and Palmer are 1 and 2. Richard, Ford and Lyons are also there. Lyons tops Faber. The White Sox have a lot more depth at this than in HRs. Unlike the 2018 season, the AL Central is the class of the field in this quiz. We had already established that Steve Rogers is the Expos/Nats leader. Is he in the 160s maybe? Gibson, Drysdale, deGrom, Dauss, Rogers, Higuera and Webb are correct. Radke played for the same franchise that gave us Walter Johnson. Stieb played a handful of games with the White Sox. I imagine the Royals leader is either Splittorf or Leonard but for the life of me I don't know who had more wins. I've been in Texas for 2/3 of the Rangers' history and I have no idea who their top Texas-only winning pitcher might be. I'd pretty much guess them for the guy with 18 who might not even be it, whoever he is. They're well down the list in any event. The Seattle Pilots-only (not including the Milwaukee part) leader in wins is Miguel Fuentes with 1. The HR leader is nobody. The Rangers leader is wearing a Phillies cap on his bb-ref page. Feller and Split are correct. I like guessing the bereft franchises. Is it possible that Brett Snell is the Rays leader? Maybe he's one of the guys down at the bottom. It can't be Bob Stanley for the Red Sox, can it? I'd pretty much guess them for the guy with 18 who might not even be it, whoever he is. The club with 18 is not the Rangers. Blake Snell is tied for the Rays' lead with 28. Still one more to go. I looked up the Ranger, and I should have known him. I didn't think of him because the Rangers acquired him in a pretty big trade, and then let him go eventually in another pretty big trade: but he never played for the club they got him from or the club they sent him to. Weird. Mario Soto for the Reds? Yes he is. Sent there but never played for them. Yes. The last of the 200-game winners on our list. Marcus Stroman for the Jays? Here are some clues for the unguessed. Wait, you don't have the Phillies on there yet. None of those clues would describe Chris Short... Robin Roberts I know pitched for the Orioles... I'll have to think about this. I think Andy Sonnanstine managed the rare distinction of spending a few years with the Rays and never be traded elsewhere. Unless one of those guys like Ryan Rupe or Bryan Rekar hung on until 2008. My annual homage to Harry Danning: he had family in Pittsburgh, and spent a couple of his later years there. He kept busy by cashiering at a local rec center, where he perfected the art of telling kids to walk their bikes. He was exactly what you'd expect a Giants catcher of the 30s to be - "gruff" doesn't go far enough - but he told a great dirty joke, was wonderful to his friends, drove a Caddy, and grabbed every check that came near him. It's fun to see these two sharing a batting record. This is probably the guy for the Phillies. I can't remember his name but he died young of TB or typhoid. Leever, Teheran and Sonanstine are correct. Six remain - three original franchises (Boston, Chicago NL and Philly) and three expansion (Tex, LAA and San Diego). Apparently there's a guy that won 40 for the Rays, and one that won 19 for the club listed as having the leader at 18. Hold on. Isn't Gibson's 1.12 ERA in 1968 supposed to be some kind of record? 'Cause I was just checking out Brown (to see why my guess was wrong - answer: Federal League play) and he posted a 1.04 ERA in 1906. It's not like Gibson even has the modern record, as "modern" is post 1900. And ol' Dutch Leonard did even better for the BOS in 1914. Or am I just misremembering things? You are correct. It is Niemann. My apologies. The 19, I don't know. I didn't know how to find who sat outside the Top 50, and 50th place on the all-time list had 20 wins. Oh, and it's four original clubs left (A's). edit: Nope, he had 189, and pitched one game for the Senators. And you already got Whitey. A's: Chief Bender? Eddie Plank? Bender and Plank both played elsewhere. Anybody besides me note the sweet irony that the Cubs' starting 1B was Fred Merkle? I'm going to guess that a pitcher with 171 wins would not be clearly better than Ted Williams, so 123 must be the Red Sox. The clue sounds like Mel Parnell. Mel Parnell is correct at 123. As this is likely a Padre or Angel, I'll guess Tyson Ross or Garrett Richards. The 18 is a Padre (as is the 19, but crict will have to provide that answer). It is not Ross, because he's not even a Padre any longer (and played elsewhere before SD). Richards could become the Angels leader before the season is out. I may have already exhausted my personal knowledge of Padres starting pitchers. What about Padres starting pitchers who spent part of the season on the DL and part of the season in El Paso? I don't think anybody would remember the guy with 19 for the Padres. With the team 1969-1974, career record of 19-28, never more than 6 wins in season. It's Mike Corkins. His only apparent claim to fame is that he was mentioned in Ball Four: "We beat San Diego 9-2 tonight and I felt sort of sorry for Mike Corkins, their starting pitcher. It was his first start in the majors and on his very first pitch Joe Morgan hit a triple to right field, and on his second pitch Jesus Alou hit another one to right-center. His third pitch was wild and Alou scored. So on three pitches the kid had given up two runs. And Marty Martinez yelled out to him: 'Welcome to the National League. Kid.'" Troy Percival for the Angels RP? Troy Percival? I recall him on another team. It's not Percival, but one of his bullpen mates. The very rare middle reliever who spent 10 years with a single franchise. I can picture the guy. Got busted for roids, right? It is Single T Shields. I think you're thinking of Brendan Donnelly, another member of the Angels' World Series pen. He was named in the Mitchell Report. Didn't Mike Corkins give up Willie Mays' 600th homer? Checks .... Yes he did! One more correction, there are two pitchers tied atop the Jays list, with 51. One was a starter in the 80s, from Venezuela. The other was a first round pick that was maligned by the Toronto press because the guy drafted immediately after him had more success. One more correction, there are two pitchers tied atop the Jays list, with 51. One was a starter in the 80s, from Venezuela. Why yes, I was sorting through several thousand 1982 Donruss cards last night. Why do you ask? Luis Leal is the 80s starter for the Blue Jays. Remembered him instantly when you said that. And the other one... went off a cliff Brandon Webb style, with the Blue Jays: Ricky Romero? Romero it is. Apparently he still hopes to come back. So these two are the Cubs and the A's. PHI -- That guy who died really young in the 1880s. Ferguson? Charlie Ferguson?